Cuts copper tube with only 3 turns. Fast Kut Copper Pipe Cutter 28mm is rated 4.8 out of 5 by 43. Rated 5 out of 5 by PHILX from VERY EASY TO USE I used this to cut copper pipes after disconnecting a boiler stove. Very easy to use in a tight space and produced a lovely smooth cut making stopping off the pipes really easy. Highly recommend this. Rated 5 out of 5 by Anaesthetix from Good enough for me (DIY Plumber) A solid piece of kit, reassuring weight and small enough to get in to tight spaces - albeit wider than some you can get. It feels professional and self-sets on the pipe easily. I'm not a trade plumber and so will not claim to be an expert but i've had about 4 cutters over the past 20 years and this is the best to date. Rated 5 out of 5 by Dennis DIY from Very good tool Have used this pipe cutter extensively over the last few days and it has cut quickly and cleanly every time. Very competitively priced. Rated 5 out of 5 by Anon1000 from Ideal for confined spaces Needed to shorten 2 copper pipes 50mm apart without sawing them. 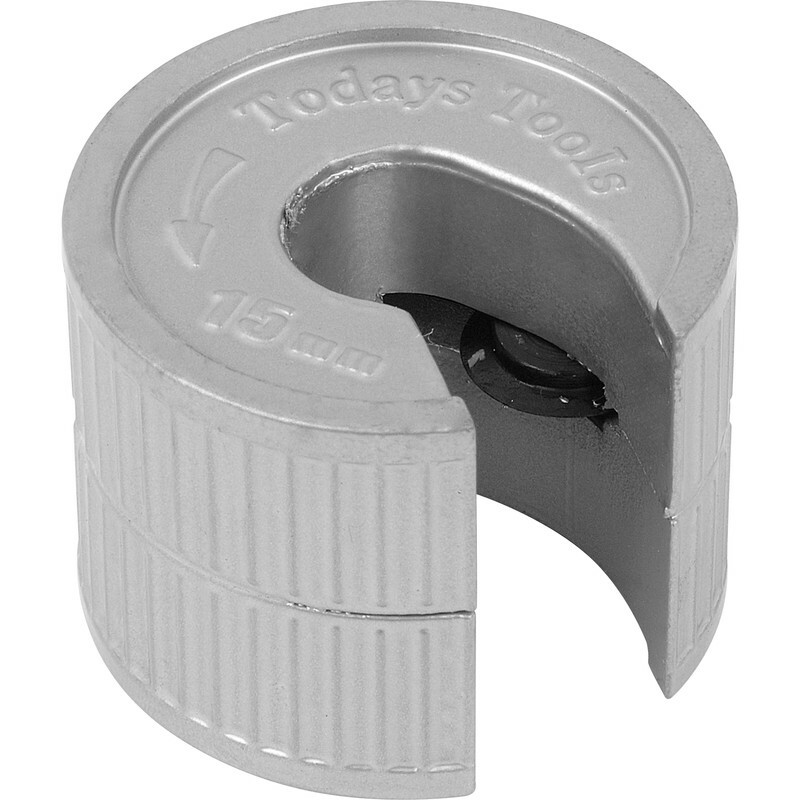 Conventional adjustable pipe cutters not able to do the job. This did the job with very little effort. Rated 5 out of 5 by Aussy from A 1 ! I have used this many times now in all sorts of difficult spots ! Brilliant so easy to mount , spot on cutting . Wider & heavier than all my previous but better & easier.Will buy again great ! Rated 5 out of 5 by Muppet31 from Simple but effective! Bought this to cut some pipes that were awkward to get to while fitting a new tap, only used a couple of times but worked really well so far, you can buy replacement blades as well.